In the past few months, disaster has struck many nations in which Compassion works, devastating families and whole communities. Your prayers can make a difference. In the past few months, disaster has struck many nations in which Compassion works, devastating families and whole communities. Hurricanes Irma and Maria swept across Central America, a series of deadly earthquakes rocked Mexico, hunger continued to grow in Ethiopia, floods devastated parts of Bangladesh and many other nations: there are so many needs that require urgent prayer. Thank you for playing your vital role in lifting these vulnerable children, families and communities up to God in prayer. A series of earthquakes in September—including an 8.1-magnitude quake on 7 September and another on 19 September that measured 7.1—rocked Mexico, killing dozens of people and flattening homes. 2400 children registered at more than 29 child development centres have been affected. Many families have lost their homes. One child is seriously injured. Local staff haven’t yet been able to confirm the whereabouts of 19 more. Staff and local churches are heavily involved in distributing food, water, blankets and other supplies. Please pray that the missing children will be found safe and well; pray for their safety and comfort. Pray for those who are yet to find family and friends; pray for peace and strength. Pray as well for those who are mourning the loss of loved ones, homes, livelihoods and possessions. Staff and local churches are heavily involved in distributing food, water, blankets and other supplies—please pray for strength and safety as they go about this important work. "During Hurricane Irma, the roof of my house was completely damaged. I spent the entire night on my feet and the water was falling upon us." Hurricanes Irma and Maria swept through the Caribbean and Central America only weeks apart, dumping extraordinary amounts of rain and bringing winds in excess of 200kmph. While almost 200 people across the region were killed during the storm events, the lack of aid—including drinking water, food, fuel for generators, and medical assistance—means hundreds more are on the brink of even greater disaster. 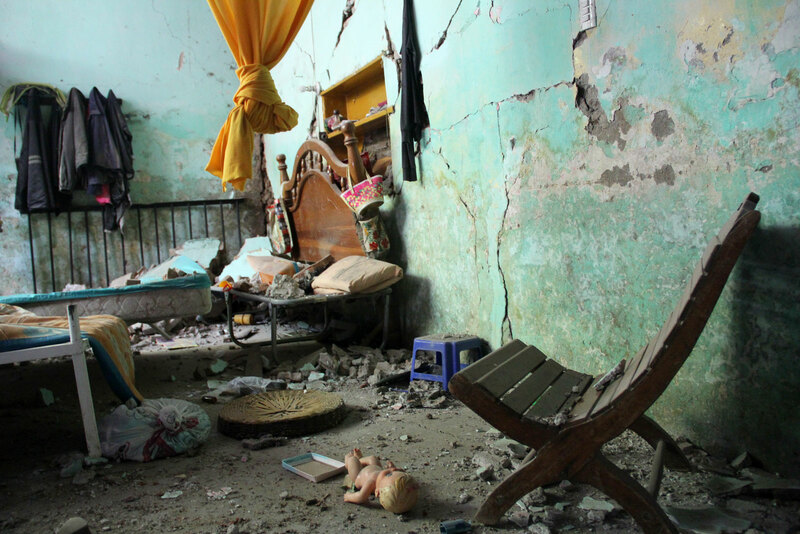 772 children registered with four centres in the Dominican Republic were affected. In Haiti, 3068 children at eight centres were affected. Most have had their homes blown away or severely damaged by floodwater. More than 280 children have already been forced to relocate, either temporarily or permanently, and this number may rise. Local staff are working hard to account for every child and make sure they have decent shelter and access to immediate aid relief. Pray for the children in Haiti and the Dominican Republic who have been forced to relocate; pray for their safety and security, and for their emotional, mental and spiritual wellbeing as they cope with the shock of the hurricanes and the need to live elsewhere. Please pray that aid will be forthcoming and that the logistics of delivering assistance to where it’s most needed will be worked out and people will receive timely support. Pray for decision-makers and leaders, and pray for aid workers on the ground, including Compassion staff and local church members, who are bravely standing with devastated families in their time of great need. Throughout August and September, monsoonal rains in Bangladesh, India and Nepal caused catastrophic flooding and landslides. More than 1200 people were killed and 40 million affected, with some reports indicating that two-thirds of Bangladesh was underwater. As Bangladesh simultaneously struggles to cope with a massive influx of Rohingya refugees from Myanmar, millions are facing months without food supplies and basic facilities such as sanitation and electricity. So far in Bangladesh, more than 1780 children at 23 child development centres have been affected. Nine children were seriously injured; local staff haven’t yet been able to determine the whereabouts of eight more children. 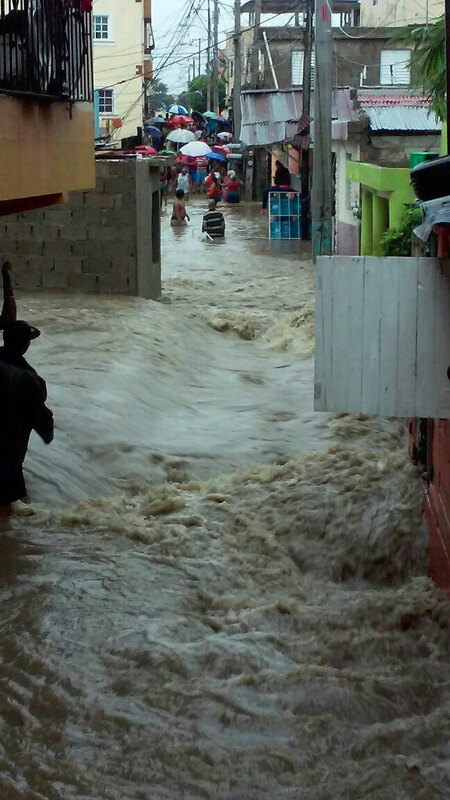 The caregivers of 10 children have been seriously injured in the floods. More than 100 children and their families have had their homes destroyed and have had to relocate at least temporarily. Two centres were completely destroyed, two more suffered significant damage, and many more sustained superficial or minor damage and are operating a limited program until the situation improves. Floods have also recently affected hundreds more Compassion assisted children and local churches across Guatemala, Colombia, Sri Lanka, Thailand, Ethiopia, Togo and Uganda. The immediate priority is to account for every child. Local staff are also distributing safe drinking water and helping families whose homes were destroyed to find shelter. Pray for those mourning the loss of loved ones; pray that God will be their comfort. Pray for those filled with fear and uncertainty as they have lost their homes, possessions and livelihoods; pray that God will be their provider and their peace. 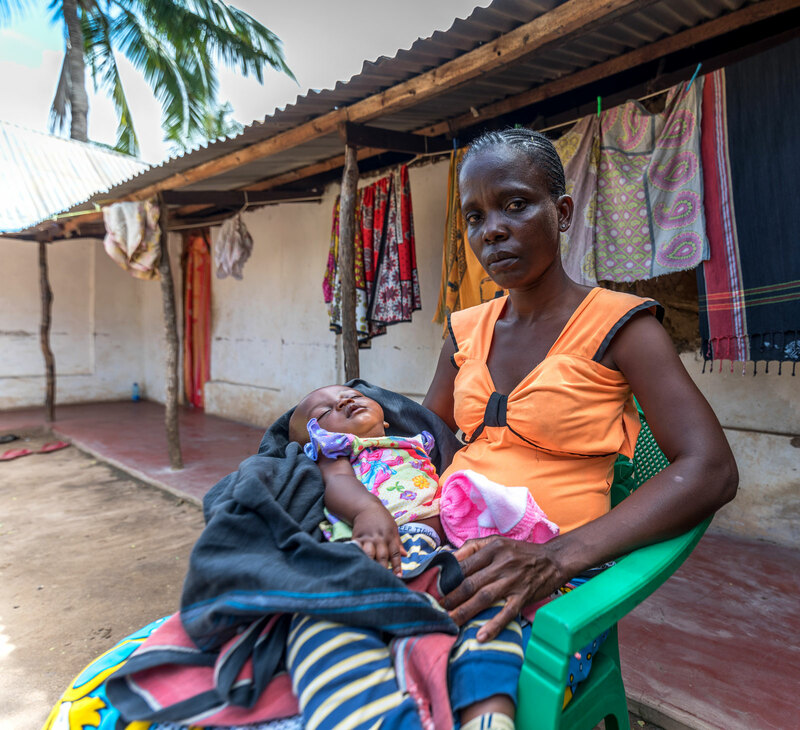 Pray for rebuilding efforts, and for local churches and child development centre workers as they coordinate aid efforts and ensure that all Compassion assisted children are cared for; pray that God will be their strength. — Fatuma, mother of a Compassion assisted child in Metahara, Ethiopia. Since 2016, widespread changes in rainfall patterns and crop failures have led to food shortages and growing hunger across Ethiopia and the wider East Africa region, affecting Compassion’s local church partners in Ethiopia, Kenya, Tanzania and Uganda. Around 8.5 million people need urgent food aid in Ethiopia alone, and have suffered the death of their livestock, mass displacement, growing hunger and malnutrition. 65 child development centres and thousands of Compassion assisted children are located in or near the drought-affected areas of Ethiopia. Compassion Ethiopia is focused on providing additional nutrition support to registered children and their families in the most at-risk regions. Please pray for aid to reach those most in need; pray for the decision makers and organisers who must determine where to deploy their resources. Pray for God’s wisdom and direction. Please pray that the local churches in the most affected areas will be serving those who are hungry, providing nutrition and support to the vulnerable. Pray that these churches will be places of refuge, that they will minister practically and spiritually, and that they will be blessed with great resources to meet the need. Pray that Compassion programs will be able to continue implementing long-term strategies to combat hunger, such as livestock breeding programs and planting kitchen gardens at centres in at-risk areas. Pray for those affected in Somalia, Kenya, Uganda, Tanzania and further afield; pray for the drought to break and crops to grow once more. 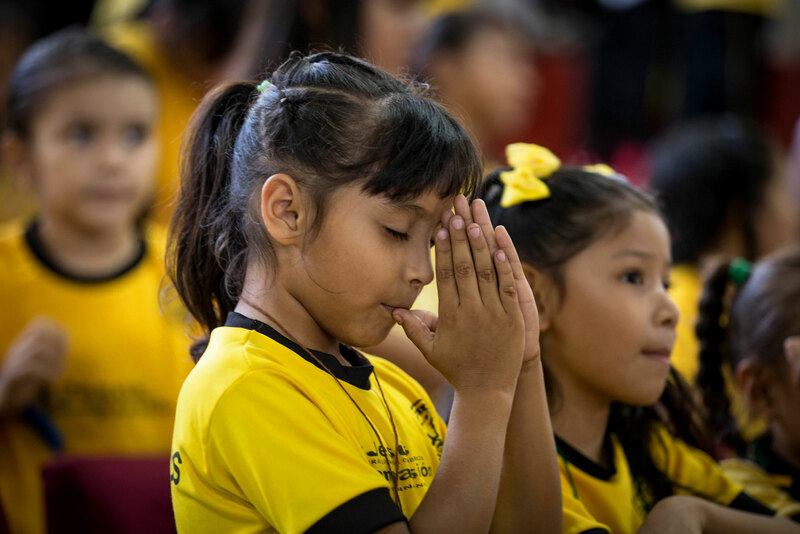 Thank you for praying for children, families and churches affected by disasters around the world; your prayers make a powerful difference in times of tragedy and challenge. In all of these situations, in every nation, we know that God will work all things together for the good of those who love Him (Romans 8:28). Please continue to pray that He will continue to comfort the broken-hearted and draw the grieving to Himself. 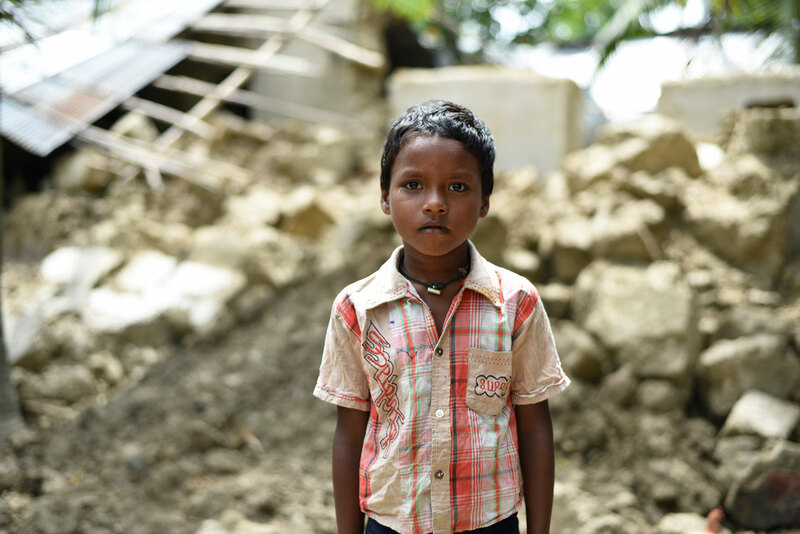 If you would like to help, you can give to Compassion’s Disaster Relief, which provides emergency relief and ongoing support to children and families affected by these kinds of events. For more updates and to support children to be released from poverty through prayer, join Compassion’s Prayer Partners.